After her mother unexpectedly dies, Selima is forced to live with her estranged father in Las Cuevas Bay. Being the newcomer whom no one knew existed, she spends most of her time exploring by herself. While in the forest, she stumbles upon an extraordinary secret that has been hidden for hundreds of years … there is a mystical river, inhabited by merfolk. Selima is befriended by a beautiful mermaid name Draya. Her life becomes challenging when she and the mermaid’s fiancé, Amarus, fall in love. From then on, Amarus guides Selima in a plan to bribe the Sea King, who is the only one who can grant him legs. Both Selima and Amarus are very naïve. Their desire to be together has tangled them in a predicament that neither can handle. Selima is at risk of destroying the progress she and her father have made in repairing their relationship, and her stepmother has become suspicious of her daily whereabouts. An old woman from the village helps Selima in spite of her knowledge of the potential consequences if merfolk and humans were to mingle in any way. However, no one is prepared for the trickery of the Sea King or the price of breaking Draya’s heart. Good synopsis. They are hell to write aren’t they? I think it was just about the hardest part of the writing. I tried my best to avoid it when sending out query letters, especially when they ask for two pages. Don’t worry, the complete story will not disappoint. Thank you. I am working out the last kinks before I announce that it is available. I read the first two chapters of this book conscious of the fact that I know the author, I felt excited, proud and happy about Vanessa’s product. By chapter three I forgot all about Vanessa and was fully engrossed by Selima. Like any good book that I get my hands on I read some every opportunity I got not surprisingly I finished the book this morning after only receiving it on Wednesday. I’m not one for fantasies but here am I checking the website for info on book two. It was a refreshing read, energizing and engaging just what the doctor ordered to relieve and revive my brain. Thank you Vanessa. You did excellently! I can’t wait for the other books, keep up the good work-albeit hard work- but you definitely possess the drive, attitude and character to be a great author. Cheers! Amazing, well-written, and descriptive are some words to describe Selima and the Merfolk. I read this before it was even edited and it is very interesting. hi i read this book way back when it was just computer pages stapled together. The final product is perfect and will have you anxious to finish it. Just finished 1st & 2nd chapters, I’ll use the long holidays to read as much as I can. Enjoying it! Thank you my dear, I look forward to visiting your school. Firstly I would like to say that the cover art on this book is absolutely wonderful y artistic and enchanting. 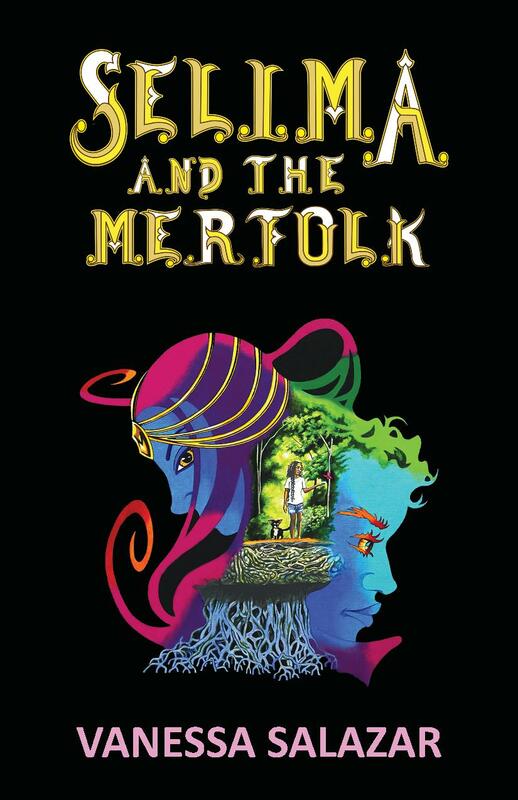 That being said, Selima and the Meerfolk is a wonderfully thrilling ride into a bright and colorful fantasy world. It is steeped in Trinidad and Tobago’s rich storytelling and dramatizations and keeps its readers captivated and wanting more. You just want to get to the end, such is the gripping facets of the book, what will happen, what decisions will be made; quite exciting. I can hardly wait for the second installment. Great work Vanessa keep it up. PS- I first meet you at the Marios/Poui writing competition on May 19th. I’ve started the second book; your comment is tremendous encouragement to get cracking and finish it. Not enough time is an excuse I over use. Your kind review is more powerful than any excuse. I will finish it. Thank you. I look forward to reading your entry. I received the book as a gift from a relative and honestly I am no bookworm I usually never finish books that I’ve started but this was an incredibly beautiful read…it was captivating from start to finish!!! !